‘Hitman’ Rohit Sharma made a record, which has ensured the ‘Raj’ of India in the cricket world. 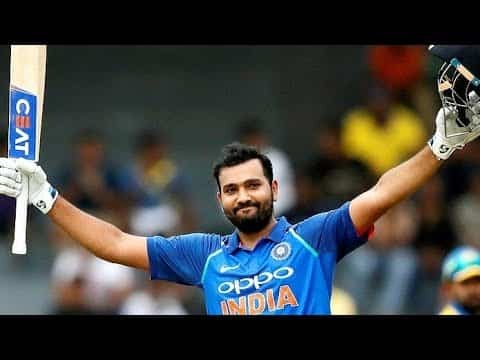 Rohit did not only make the world record in the second T-20 series against New Zealand, but he has been able to increase the confidence of Team India with Sachin Tendulkar in world cricket. Rohit, who had made the world record for most (4) centuries in T-20 International, had a chance to make history in Auckland and he did not miss it. On the 35th run of Rohit’s bat in Eden Park on Friday, India got illuminated with a big record. 31-year-old Rohit has scored 2288 * in 84 innings, becoming the highest run scorer in T-20 International. He left behind top-run New Zealand’s Martin Guptill, who was leading in the first innings with 2272 runs in 74 innings. India made a unique record as soon as Rohit recorded the world record for the highest run in the name T20 International. In fact, the names of the Indians in the list of highest run-scorers in the three formats of International Cricket are now at the top. One and the other, where Sachin Tendulkar holds the world record for most runs (15921 and 18426 runs respectively) in Test and One Day Internationals, Now, the highest scorer in T-20 International is also an Indian (Rohit Sharma). In this match, Rohit Sharma scored 50 runs in 29 balls. His innings included four sixes and three fours. Not only that, Rohit Sharma has come in second place in the list of most number of six batsmen in T-20 Internationals. Rohit has scored 102 sixes in T20 Internationals Prior to Rohit, the list includes top-order batsmen Chris Gayle (103 sixes) and New Zealand’s explosive opener Martin Guptill (103 sixes).